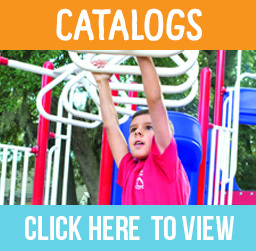 Are you trying to find commercial playground equipment in Sarasota, FL for your community park, school, child care center, church, subdivision, or apartment complex? 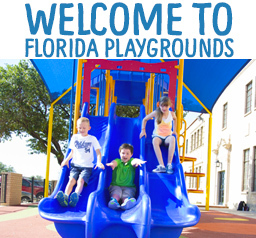 At Florida Playgrounds, you’ll discover an outstanding selection of commercial playground equipment for sale that’s both cost-effective and durable. Our high quality playground equipment provides a long-term solution for your community. We don’t mess around with your kids safety. We comply with all of the voluntary safety standards and consumer guidelines and only offer equipment than meets this production criteria for quality and safety. Not only do we supply but also install equipment from a large array of playground equipment companies. Regardless of what sort of commercial playground equipment you’re planning to purchase you’re most likely to find exactly what you need from us. Our wide collection of commercial outdoor playground equipment consists of everything from entire play structures and play systems to independent freestanding components and parts. We specialize in playground surfacing options that enhance the safety and appeal of your playground. We also offer accessible playground equipment options for your commercial playground that’s inclusive to everybody. 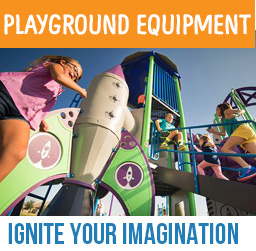 When considering commercial playground equipment, colors, dimensions and age variety are simply a few of the things you’ll have to think about. We balance your budget with your needs, and have a large array of options to choose from so no project is too small, or too big. We are competitively priced when compared with other commercial playground vendors. You can feel confident, that you’ve selected a high-quality product, however a budget-friendly solution for your neighborhood or park. Building a playground is complicated. Florida Playgrounds can assist in making this procedure less complex. We work with your local building departments around the Greater Sarasota County, Pinellas County, Hillsborough County, Manatee County, Charlotte County area, to make sure that we’re compliant with your local building requirements. Our sales experts will certainly make it simple for you by walking through the process, budget, and construction process. Call us today for your free evaluation and we’ll help you determine just what equipment you have that you should keep and possibly rehabilitate, and also what equipment you may want to replace in order to produce an enjoyable, fun, functional playground setting your kids will enjoy for years to come.